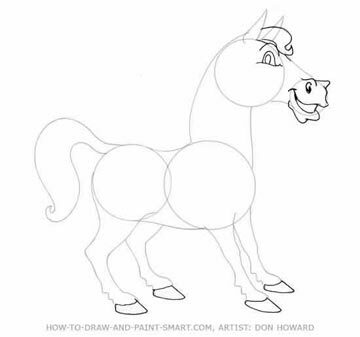 Get ready to Draw a Cartoon Horse! 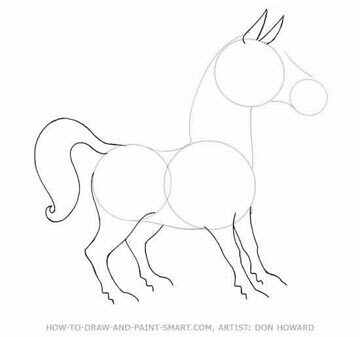 Learning how to draw horses well is an admirable goal. Horses have been the subject of great art for centuries and have been frequently depicted in hunting scenes and battle scenes. As a mode of transportation the horse has become less significant over the years, but there are some places you can't get to with a car and in those situations nothing beats having a horse. There is also the amazing experience of man and animal working together that you just don't get from a car. 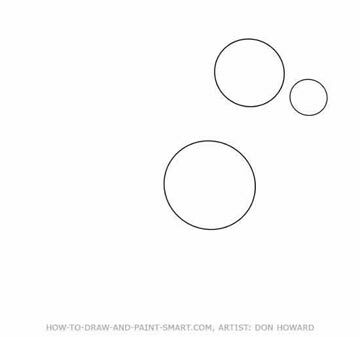 Now let's get started with the "How to Draw a Horse"
Add another circle for the horses hindquarters and then connect the circles with curves to form the basic outline of the body, neck and head.. 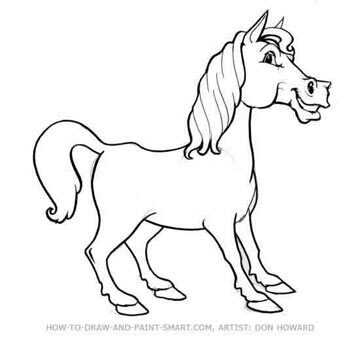 Draw the ears, tail and legs.. It's time to detail the face! 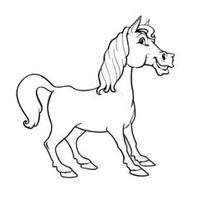 Give the horse a nose, mouth, an eye, and a whisp of mane coming forward between the ears. Also, add hooves to the legs. 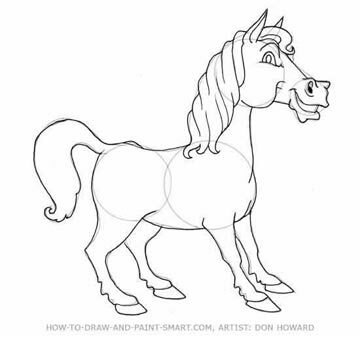 continue your drawing by adding the mane and detailing the cheek. Then refine the tail and complete the insides of the ears. 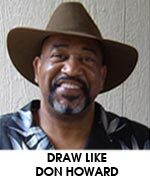 Ink over your drawing with pen or marker and erase your pencil lines. You are finished! 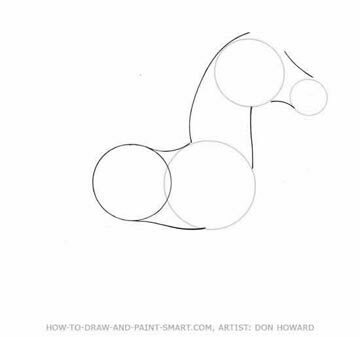 "How to Draw a Horse!"